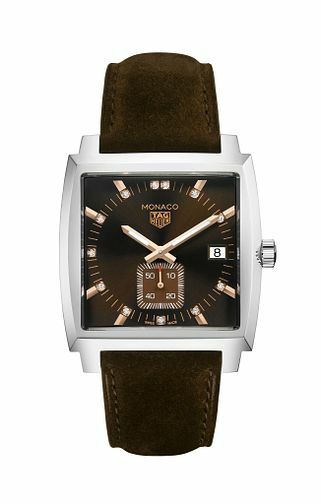 TAG Heuer has reached the epitome of style with this Monaco Ladies' watch. With a vintage, square, stainless steel case with brown dial and luminous hands and markers and matching brown alligator leather strap. Powered by quartz movement and with 100m water resistance.